Bulletstorm is coming to Switch this summer, Gearbox announced at their PAX East panel today. Bulletstorm is coming to Switch this summer, Gearbox announced at their PAX East panel today. The Switch version will include all the DLC for the game. 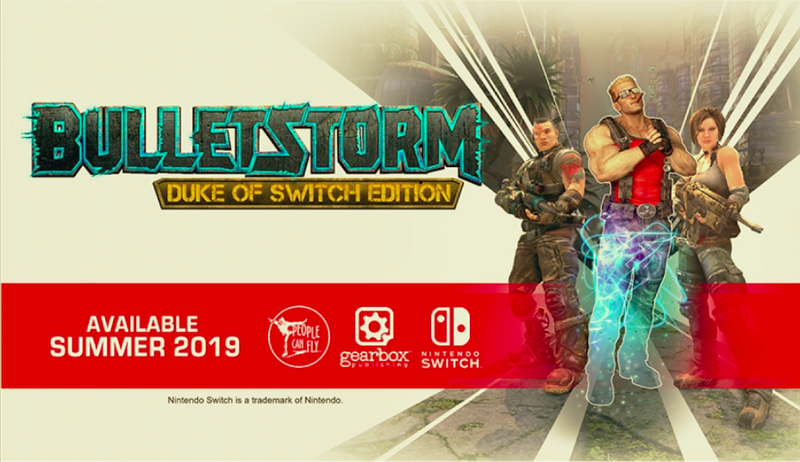 Bulletstorm is a shooter that came out in 2011 and in 2017 received a remastered version, called the Full Clip Edition, with a pre-order bonus that let players play as Duke Nukem.